Atlanta, GA., New Orleans, LA., Detroit. MI., Jackson, MS., Dallas, TX., New York, NY, Orlando, FL. Exposure to math and science has a bigger impact on students’ intent to major in a science, technology, engineering or mathematics (STEM) field than does math achievement, according to a study published in the October issue of the American Educational Research Journal. While math achievement is a significant indicator of whether students enroll in STEM majors (and was once thought to be the best predictor of future STEM entrance), early exposure to science and math courses has a greater influence on high school students’ interest in studying STEM fields, according to a study of nationally representative high school students entering college, "Why Students Choose STEM Majors: Motivation, High School Learning, and Post secondary Context of Support." However, the largest indicator of whether a student declared a major in a STEM field was their intent to do so. But the exposure effect has a smaller positive impact on underrepresented minority students than on white and Asian students. Underrepresented minorities are also more likely to be influenced by early math achievement than are white or Asian students. Early math achievement influences students' belief that they can succeed in math, which, in turn, influences whether students choose to pursue STEM fields in college. These findings, Wang said, highlight the need to close racial disparities in math achievement at an early age. “We all need to be mindful of racial differences especially if we are thinking of diversifying our STEM pipeline,” said Wang, also a scholar at the Wisconsin Center for the Advancement of Postsecondary Education. The study also found some gender differences that affected whether students intended to study a STEM field in college. Male students reported more belief in their own math skills than female students with comparable achievements. The research suggested that improving female students’ confidence in their math skills could lead to stronger interest in STEM fields. Several other indicators were discussed in the study -- including initial post secondary experiences such as interaction with faculty and academic advisers and receipt of financial aid -- that affected whether a student majored in a STEM field. Is a STEM school right for my child? If your child has an innate interest in science or building things, a STEM school may be a natural choice. But administrators say these schools cater to all kinds of learners and that most students appreciate the hands-on nature of the curricula. Students who manage their time well may succeed in STEM programs that are self-paced and have kids working on independent projects. Missing the Mark with STEM! American high schools still remain highly departmentalized, stratified, and continue to teach subjects in isolation, with little to no attempts to draw connections among the STEM disciplines. however, it misses the mark! If this is the extent of STEM program and curriculum development, then there really is no program or curriculum, as the program and curriculum will disappear (if there ever was one) when the teachers change teaching assignments, transfer, retire, or leave the profession. This represents personalization and not institutionalization. Many educators have not yet come to the realization that STEM education is more than simply a new name for the traditional approach to teaching science and mathematics. Nor do they understand that it is more than just the grafting of “technology” and “engineering” layers onto standard science and mathematics curricula. As a result, there is little to no thoughtfully planned and implemented STEM curriculum in secondary schools. While many would argue this is a start to realizing STEM education within secondary schools, it is a far cry from actually planning, writing, and implementing an innovative, trans-disciplinary STEM program. What is happening now at the elementary and middle school levels? which includes program and curriculum design, and function, which are the desired results of STEM education are still largely undeveloped. Over the past 10 years, jobs in STEM fields have grown three times as fast as jobs in non-STEM fields, according to the Department of Commerce, and STEM fields are expected to grow by 17 percent between 2008 and 2018, compared to just 9.8 percent growth for non-STEM fields in the same time frame. But without an influx of graduates in these areas, the U.S. will not have enough workers to fill those jobs. STEM schools can help young people gain the skills necessary to succeed in these fields. Over the next decade alone, the U.S. must produce approximately 1 million more STEM-degree graduates than currently projected to meet the demands of the economy, according to a 2012 report by the President’s Council of Advisors on Science and Technology. Recognizing this gap, educators have focused on getting more students hooked on math and science earlier in their school careers, which is why more STEM programs are being launched nationwide. You’ll mainly find STEM high schools, but there are some middle schools with a STEM emphasis, too. Some STEM schools are open to all students, meaning there are no tests required; others are selective and consider a student’s academic record in admission decisions. A STEM specialty school: The entire school’s focus is on STEM and every student participates in a curriculum of science, technology, engineering, and mathematics. A STEM program within a larger school: Some schools create STEM academies within their schools that allow interested students to study STEM in more depth. Residential STEM programs: For these intensive programs, students live on campus and attend a STEM school. Programs may delve broadly into all STEM subjects or they may specialize in a particular area, such as computer technology. Vocational or CTE programs that prepare students for certain high-tech fields also fall within the spectrum of STEM schools. Are our schools teaching 50 year old science? When most of us were in school we had Math and Science classes. Today, there is a growing concern among many educators and professionals that those courses just arent measuring up for a 21st century world. One of the educational strategies that has been developed to address these deficits is called STEM education: Science, Technology, Engineering and Math. This week on What Matters, we get schooled on these initiatives with Jim Batterson, a former NASA engineer who was Senior Advisor to the Commonwealth for STEM Initiatives under the Kaine Administration and Rick Lally who is the Chairman Emeritus Hampton Roads Technology Council. The STEM economy is much bigger than many imagine and the barriers to entry are also lower than most think. What is STEM - and why should you care? Key things parents can do to give their children an edge in science, technology, engineering, and math. This tool helps educators determine their current level of STEM implementation (exploratory, introductory, partial immersion or full immersion), define their vision, shape their mission and goals, and plan how their schools can go to the next level. Whether you are looking for resources on integrating science, technology, engineering, and math or on infusing the arts to transform STEM into STEAM, this curated compilation will help you strategize around different approaches to integrated studies. Introducing business education and technology. 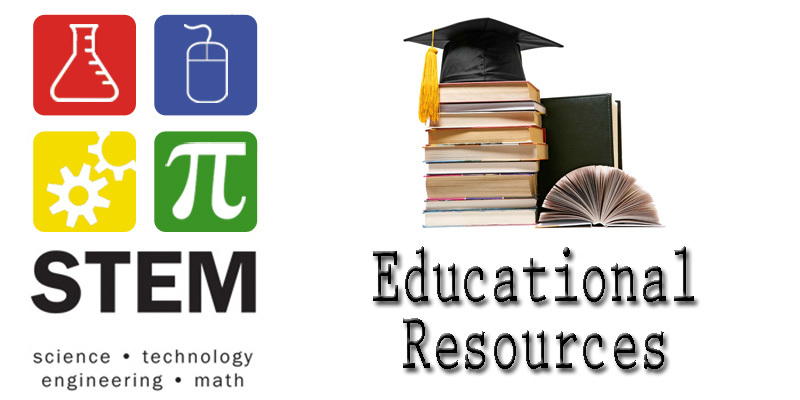 In this section of GCSE Bitesize you'll find learner guides and video clips designed to cover the latest GCSE and IGCSE Biology, Chemistry and Physics curricula. Digital Citizenship. What is it?